Today, the U.K.’s Magic Rock Brewing announced that it was selling a 100% stake to Lion. One of Australia’s largest food and beverage companies, Lion is owned by Japan’s Kirin Holdings Company Limited. The announcement comes amidst Lion’s increasing investment in the U.K. craft beer scene, though Magic Rock is the first non-London-based business it has set its sights on. Founded by managing director Richard Burhouse and head brewer Stuart Ross in Huddersfield, West Yorkshire in 2011, Magic Rock is considered one of the earliest and most influential progenitors of the U.K.’s craft-beer scene. Inspired by American craft-brewing traditions, it’s known for its extensive core range and focus on IPAs, including its flagship Cannonball IPA. The brewery maintains a 1,700-square-foot taproom in Huddersfield and last year launched the inaugural SeshFest, a summertime beer festival dedicated to session styles under 4.5% ABV. In recent years, it has grown significantly in size, scope, and ambition, and currently exports to 25 countries worldwide. The specifics of the deal have not yet been revealed, though it has been confirmed that the founders will remain in their roles for at least the next four years. Prior to Magic Rock’s acquisition, moves were already in place to expand its capacity and its audience. “Looking forward to 2019, we are currently in the process of securing nationwide listings for the core beers,” Burhouse wrote in an end-of-year blog post. That wider audience will now include supermarket shoppers up and down the country. Domo Hill, beer buyer for Tesco, announced on Instagram that the major U.K. grocery chain would be greatly expanding its craft beer offerings, and would be adding beers from breweries the likes of Thornbridge, Five Points, and North Brewing Co. to its shelves this coming Monday, April 1. 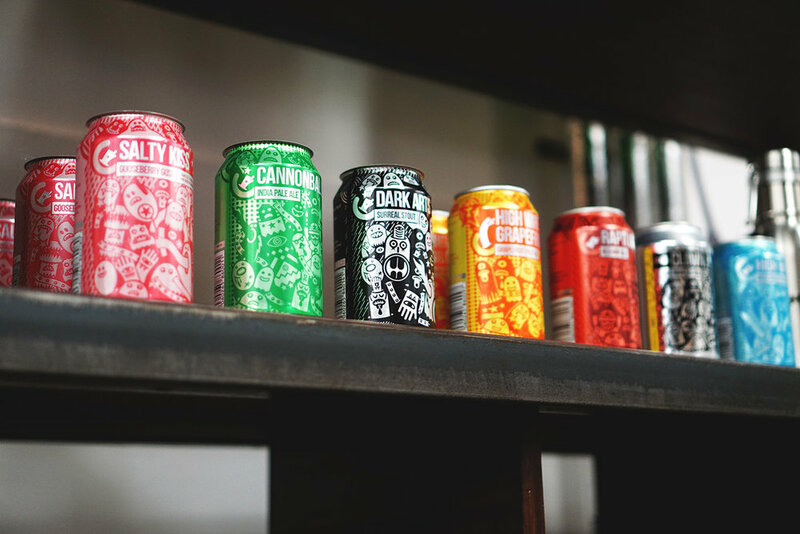 On March 27, he shared that Magic Rock’s Luminance NE IPA, Saucery Session IPA, Inhaler Pale Ale, and Cannonball IPA would all be added to its offerings. In the post, Hill notes that the first three will also be available in roughly half of Tesco’s smaller Express shops, in addition to its larger locations. According to a Magic Rock spokesperson, “the Tesco deal was discussed prior to Lion entering the picture,” and the brewery had already sought various avenues for growing its production. Its plans included expansion into more locations in order to attract new drinkers, and this infusion of cash will certainly benefit and expedite that goal. In 2018, Magic Rock estimated that it produced 15,500hl (13,208 barrels) of packed beer, which Burhouse described as “an increase in packed beer of around 22% on last year’s figures.” Last year also saw the brewery install a new canning line and semi-automated keg filler, and produce 40 new beers. Prior to the deal, Magic Rock had three 100hl fermentation vessels on order, and was planning to procure a new automated brew system to help it keep up with demand. Now, that major investment is quite literally paying off, and Lion’s deep pockets will be used to expand Magic Rock’s Huddersfield facilities significantly. The acquisition of Magic Rock is the latest major move that Lion has made in the U.K. within the last year. In July 2018, Lion bought a 100% stake in Fourpure, previously one of London’s largest craft breweries and a highlight of the city’s famed Bermondsey Beer Mile. Lion additionally has plans in the works to open a Bermondsey taproom for Panhead Custom Ales—a New Zealand brewery which it acquired in 2016—and a Little Creatures taproom in Granary Square, King’s Cross. Magic Rock’s sale is further evidence of the multinational feeding frenzy that the U.K. craft beer scene has become. In addition to Fourpure, it follows high-profile acquisitions like Fuller’s sale to Asahi Europe Ltd. in January and Beavertown’s minority sale to Heineken last June. If that same pace of change continues, it likely won’t be long before U.K. craft drinkers confront yet another polarizing buyout—and those playing buyout bingo can keep their pens at the ready.